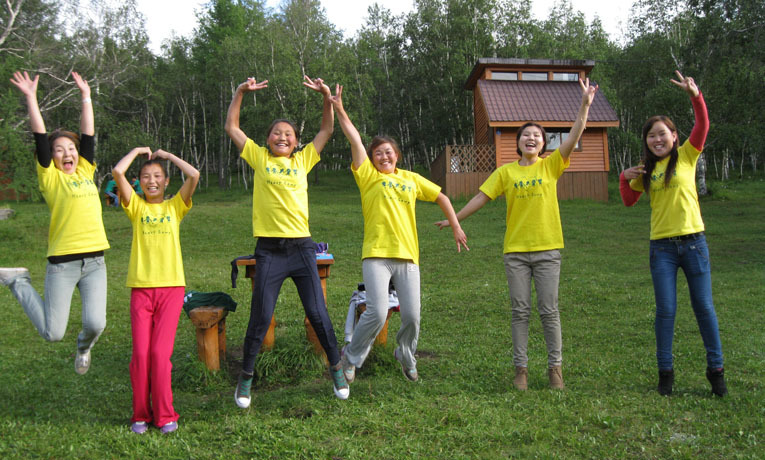 A Children's Heart Project camp in Mongolia encourages young women to live for God. There were many amazing things that happened at the Heart Camps in Mongolia last year. The camps bring together former Children’s Heart Project patients for a week of discipleship and camaraderie. Enkhtulaq (“Emma”), the camp staff coordinator, said one of the most incredible parts was how some of the counselors had experienced heart surgery too, making it easy for them to relate to the campers. She mentioned Batkhand, a young woman from the Bulgan province who previously underwent a heart procedure. Emma said Batkhan has a gift of clearly communicating with the children in whatever she taught. There was an increase in the number of older children who attended the third session of camp. Some of them were even around the same age as Batkhand, who recently graduated from high school,. She liked being a counselor to the older girls, because she was able to relate to them on a deeper level. Some were Kazak children, creating a language barrier, but Batkhand said they were still able to connect by playing together and making friends with one another. When she saw the children at camp, she recognized more of God’s reality and wonders. One of the biggest benefits of the heart surgeries is that the girls said they are no longer excluded from the community. Before, their sickness always caused them to be left behind in their studies. Now their whole lives are different. But it’s more than just being able to keep up in school and enjoying more physical activity. The biggest change that’s happened in their lives is they have gotten to know God. We miss you a lot. We want to say thank you at all times for what you have done for us. If you need our help in any areas, we will be happy to help. We want to return the favor for all the things that they have done for us. We wish God’s blessing and grace upon you all abundantly. We believe that some day by God’s grace we would be able to meet again. There are still many more children on a waiting list to receive life-saving heart surgery. To find out more information on how you can get involved in saving the life of a child affected by a heart defect, visit the Children’s Heart Project Web page.